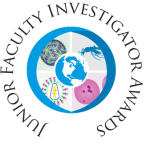 The Tulane University Translational Science Institute (TUTSI) encourages eligible faculty members from all schools at Tulane University to apply for a COBRE (Centers of Biomedical Research Excellence) Junior Faculty Investigator Award. A junior investigator is defined either as (1) an individual who does not have and has not previously had an external, peer-reviewed Research Project Grant (RPG) or Program Project Grant (PPG) from either a Federal or non-Federal source that names that investigator as the PD/PI or (2) an established investigator who is making a significant change to his/her career. It is expected that a junior investigator will be supported by the COBRE for 3 years and then move to independent research support. All junior faculty investigators must submit an investigator-initiated RPG application by the end of two years of COBRE support. We are interested in junior faculty with a focus in clinical and translational research in cardiometabolic diseases. Clinical, population, and basic science researchers are encouraged to apply. Interested applicants can submit the following documents to: Katherine Obst (kobst@tulane.edu). Project Summary: The Project Summary is meant to serve as a succinct and accurate description of the proposed work when separated from the application. State the application’s broad, long-term objectives and specific aims, making reference to the health relatedness of the project (i.e., relevance to the mission of the agency). Describe concisely the research design and methods for achieving the stated goals. This section should be informative to other persons working in the same or related fields and insofar as possible understandable to a scientifically or technically literate reader. Avoid describing past accomplishments and the use of the first person. 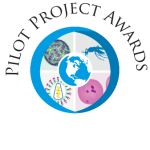 The TUTSI Pilot Project Program provides funding to support promising junior faculty investigators in conducting preliminary research intended to strengthen eventual applications for NIH, or other extramural, funding. After completion, the pilot study investigators are also eligible to apply for the COBRE Junior Faculty Investigator Awards. The Pilot Study Program will provide $50,000-$100,000 in direct costs for up to 1 year(s), and funded projects will also have access to the resources provided by the TUTSI Administrative and Clinical Research Cores. Funded pilot project investigators will be expected to attend the TUTSI research-in-progress meetings and Grand Rounds presentations; complete and adhere to a career development plan; and report on study progress to the program director, TUTSI Internal Advisory Committee (IAC), and External Advisory Committee (EAC). Basic, clinical, and population researchers with a focus in clinical and translational research in cardiometabolic diseases are encouraged to apply.